Hey guys, I recently watched 2018’s anime film I WANT TO EAT YOUR PANCREAS and I am mesmerized and dumbfounded at the same time. Not because of its peculiar and intriguing title but because it will surprise you unexpectedly just when you thought that you already know the path of the story being told. 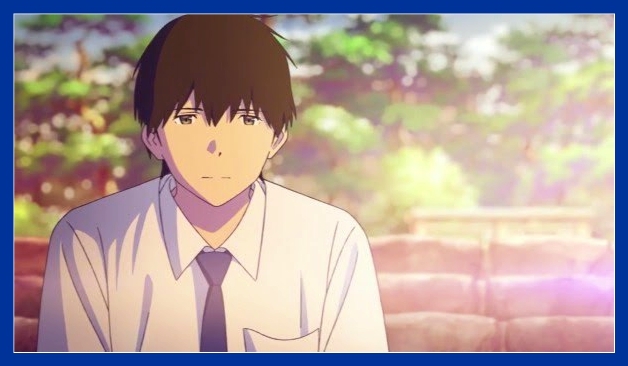 I’ll have this short review of the film on a more personal note as I felt that it’s been ages since an anime touched my heart excruciatingly, with Your Name. being the last one. Note: I might spill some beans intentionally or not; so please be guided of possible spoilers. First, I know that the movie shall have a sad ending or outcome. 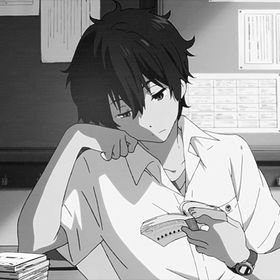 That is why I always view I Want to Eat Your Pancreas as another Your Lie in April story, and boomed I was shocked by the biggest surprise just when I thought that I know how the story shall end. In fact, I was quite caught off-guard because I avoid to read spoilers or reading reviews about the novel. 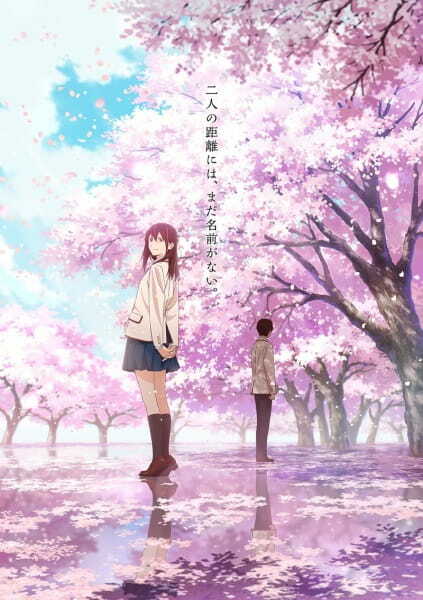 I even not dare to have a glimpse at Let Me Eat Your Pancreas – the anime’s live-action drama film. So, I watched the anime film with pure innocence only knowing that the female protagonist is destined to die. Kaori Miyazono from Your Lie in April and Sakura Yamauchi - two ladies that shared a lot of similarities and the same end. Doesn’t it feels like Your Lie in April or another tear-jerking anime film such as AIR or CLANNAD? The fact that Sakura (the female protagonist) is dying is written on the plot as she had a terminal illness. Well, that actually sounds exactly the same as those anime that I had mentioned above. Actually, the film start off with the revelation of Sakura’s death – to be specific her funeral. The film is narrated nonchalantly and ordinarily by Haruki – the male protagonist. However, there’s a heavy dosage of sentimentality in his words; I mean in his every words. 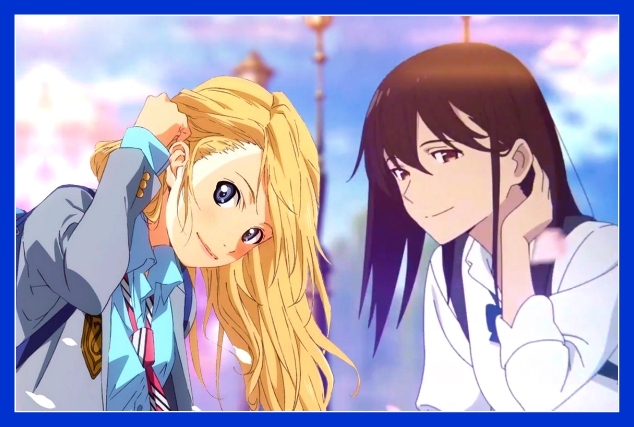 Story-wise and character development aspects; the closest anime series that I could compare to I WANT TO EAT YOUR PANCREAS is Your Lie in April while if added with more ambiguity and mysticism, I could directly put the film on the same league as Key’s heart-breaking series like AIR & CLANNAD. 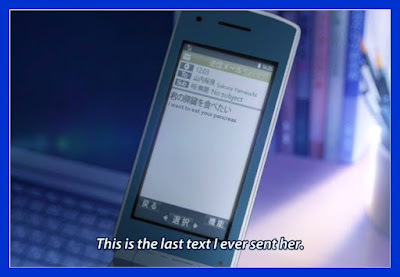 It could also be another Hyouka on tackling the social openness and the topic of building connections or relationships. What makes those anime that I had mentioned similar or had in common is having a female protagonist breaks the wall and force their way into the life of the male protagonist; and eventually influence their life, their princes and beliefs. 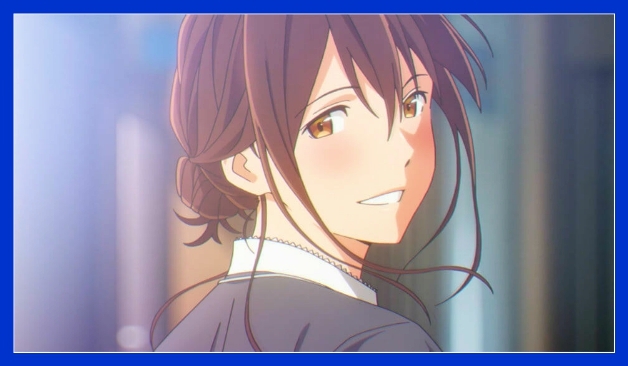 In this essence, I Want to Eat Your Pancreas executed this flow of story magically, ordinarily, and efficiently without any dull moments from the start until the end of the movie. In terms of character development, the biggest part of this took place on the male protagonist on which we only know the name at the end of the movie. Sakura influenced his life for a better from being an anti-social dork, enigmatic and silent – he slowly open his heart to people. He gradually take notice of the people around him and it all started with a fated encounter with Sakura. As our girl say, it’s not a series of coincidence but the entire journey or their story is a series of choices, it is our choices that create destiny. 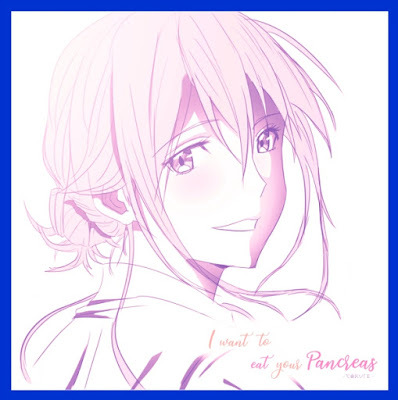 I believed that this is one of the most generic yet heartfelt lessons that I Want to Eat Your Pancreas want to portray and wanted their audiences to realize. Be who you are, be yourself. Don’t be afraid to show your real self. Always live your life like it’s the last day. Enjoy and do what you want as long as it doesn’t pose a harm to others. To be happy, you don’t need to have lots of friends, but a few trusted circle of friends. Even one could be enough to make your world wonderful. Self-love and acceptance – not allowing the standard of majority of people to dictate who you are. 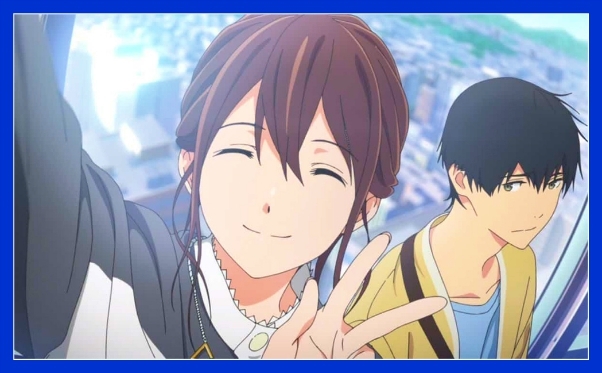 These are only few of those life lessons and I personally believed that I Want to Eat Your Pancreas have lots of story and lessons to tell especially to young people out there. The visuals and graphics of the film is beyond beautiful. April may truly be a notorious time for an achy story. 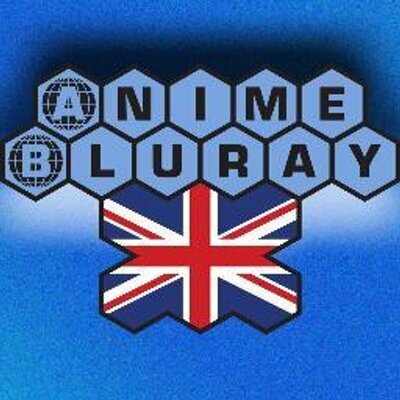 The movie gives off the same ambiance as Your Lie in April, Clannad, and A Silent Voice - not just in story but also in visuals and animation. Those vivid cherry blossoms scenery is truly a defining features of the movie. 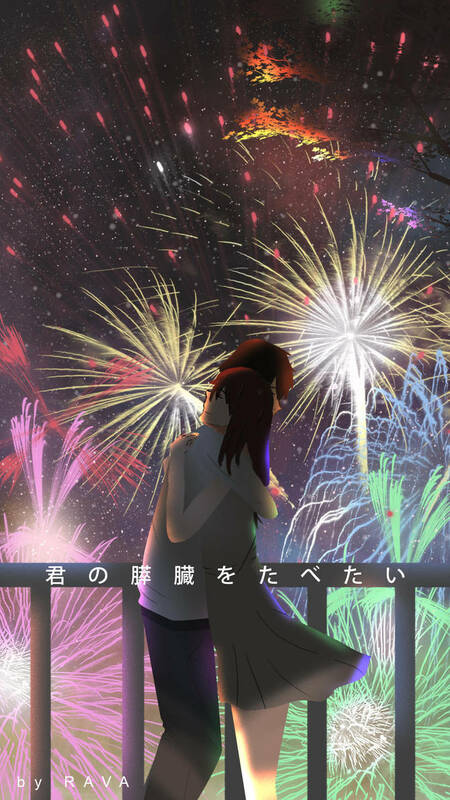 After all, the main characters’ name had something to do with the spring and cherry blossoms. The movie is actually full of symbolism that goes beyond friendship and love. It’s a loving relationship between two human beings whose lives were intertwined due to their own respective normalcy. A common feats that uplift each other spirit despite of their differences. I strongly believe that the visuals and animation in the film had given the story a justice and decent tribute. 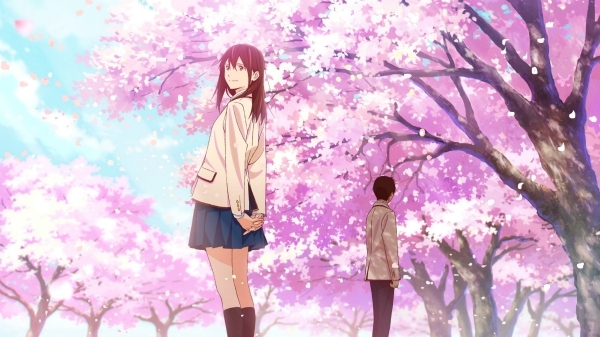 In the end, what I could say is that I Want to Eat Your Pancreas goes beyond the normal drama of a sick girl who brought a guy out of his own little world. Instead, it’s a tale of self-acceptance, friendship, sympathy, and building relationships. It’s a journey that taught us about hope and possibility that silver lining do exist even when our days are numbered. It teaches us to live our life to the fullest as we don’t know what tomorrow may bring. Furthermore, I Want to Eat Your Pancreas tells us to embrace our losses and live our life with renewed faith, courage and a new purpose. However, I wouldn't dare to say that this movie is special because those elements that I had mentioned were also present in other animated films or series but I believed that the movie properly conveyed its message and that's the most important thing at all. The coming-of-age movie had hit the Japanese theaters on Sep. 1, 2018. It is based on Yoru Sumino’s novel Kimino Suizō o Tabetai. If you had already watched the movie, please let us know of your thoughts by leaving a comment below. 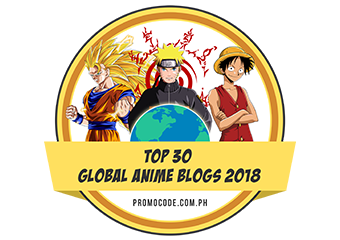 If not, then I dare to watch it with a prepared handkerchief on your hand since it’s definitely one of the best anime movie of 2018.